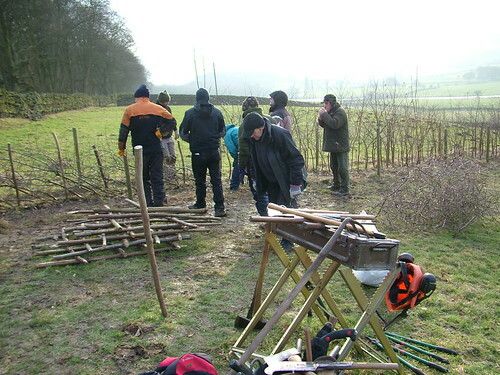 Hedge laying – why not? 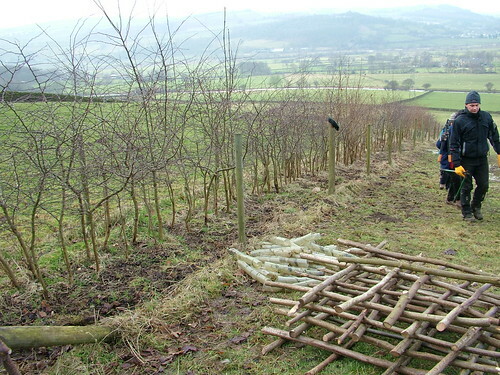 Ed, our tutor, then showed us how to go on, he’s a great communicator and lays hedges for a living as well as forestry contracting. 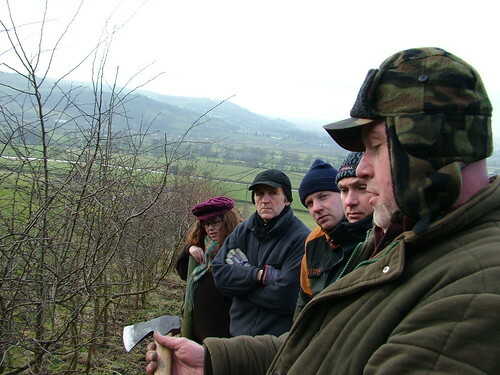 His words of wisdom were very good, and often very amusing, a real good craike (or blather as we might say in Yorkshire). 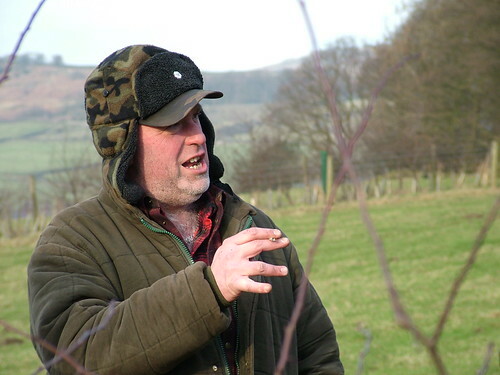 Here Ed shows us how to start a pleach, or cut that will allow the plant to be laid over without breaking away from the roots, so that the ligger and the root will both sprout new growth in the growing season. 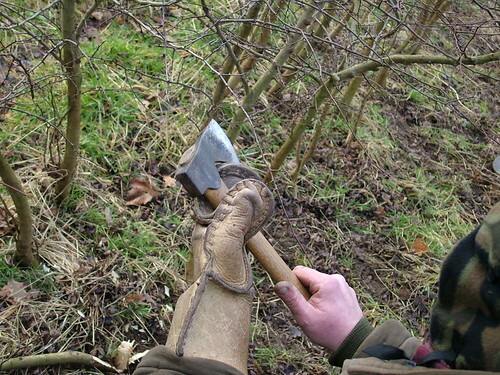 Bare hand for control of the axe and a donkey skin mitten to repell thorns. 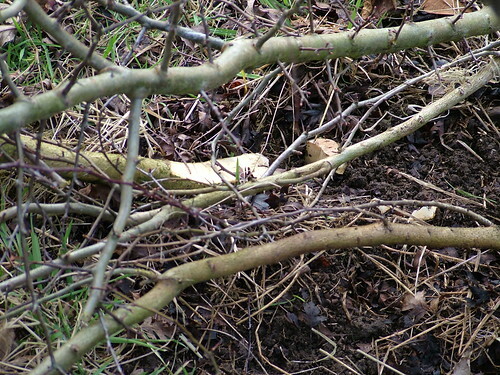 This is the essential – the pleach, cutting the stem just enough to make it lie down without springing back up. A man who knows what he’s talking about commands attention with ease. Didn’t we do well? 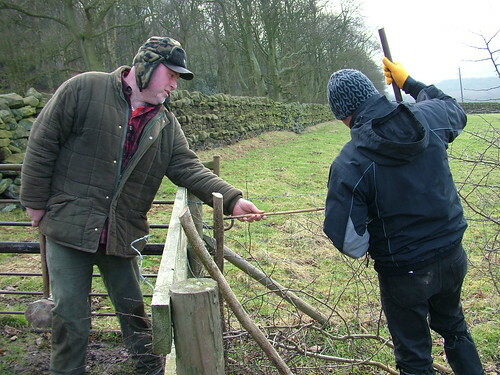 A joint effort, and the style is traditional Yorkshire stock hedge, which is an immediately effective two-sided stock fence, impenetrable even by lambs. 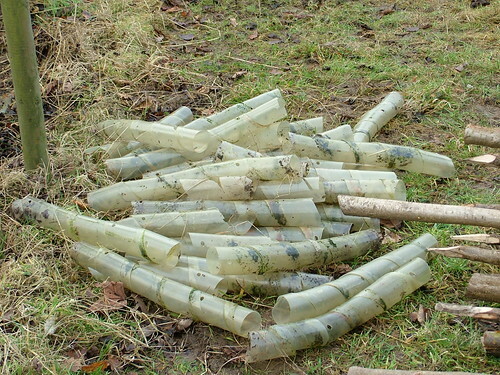 It lies low at about 25 degrees for our Northern winds and the stakes are in the middle to hold it all together. 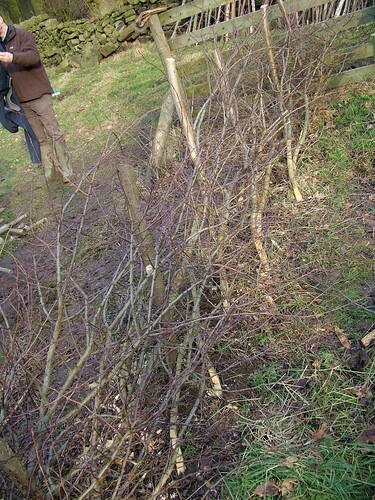 This entry was posted in Appropriate technology, Green woodwork, Hedge laying, Slow by Flying Shavings. Bookmark the permalink.